يضمن فندق La Loft Apartments - North Terrace الذي رمم في 2010 لزائريه قضاء وقت ممتع في أديليد، سواء جاؤوا في رحلة عمل أو سياحة. يقع الفندق على بعد 1 km من مركز المدينة، ويؤمن الوصول إلى أهم مراكز المدينة. إن سهولة الوصول من الفندق إلى المعالم السياحية الشهيرة الكثيرة في المدينة كمثل ترافل سنتر جنوب استراليا, اديلايد كونفنشن سنتر, Imprints Booksellers هو استثنائي بحد ذاته. استمتع بالخدمات الراقية والضيافة التي لا مثيل لها بهذا الفندق في أديليد. يقدم الفندق تسجيل وصول/خروج سريع, تخزين الأمتعة, صف السيارات, غرفة عائلية, مطعم لضمان الراحة القصوى لضيوفه. تنعكس أجواء La Loft Apartments - North Terrace في غرف الضيوف.تلفزيون بشاشة مسطحة, حوض الاسترخاء, غرف لغير المدخنين, مكيف هواء, تدفئة هي بعض الميزات الموجود في العديد من الغرف. إن حوض استحمام ساخن, مركز للياقة البدنية, ساونا, حمام سباحة داخلي, سبا هو المكان الأمثل في الفندق للاسترخاء وتفريغ طاقتك بعد نهار طويل. استمتع بخدمات لا يعلى عليها وعنوان ذو اعتبار في La Loft Apartments - North Terrace . العقار لا يوفر خدمة التنظيف. مطلوب من الضيوف تزويدنا بالموعد التقريبي لتسجيل الدخول في العقار قبل الوصول بـ1 ساعة(ساعات) على الأقل. يُطلب من الضيوف الذين سيصلون بعد 05.00 PM الإتصال بالعقار مباشرة قبل موعد وصولهم. Fantastic in ever way, had everything we needed, walking distance to RAH where my partner was having radiation treatment, amazing view, quiet and so many thanks to Kevin for his help and empathy for our situation. Smooth check in and well located. Not the cleanest but that's to be expected without daily servicing. Did the job. 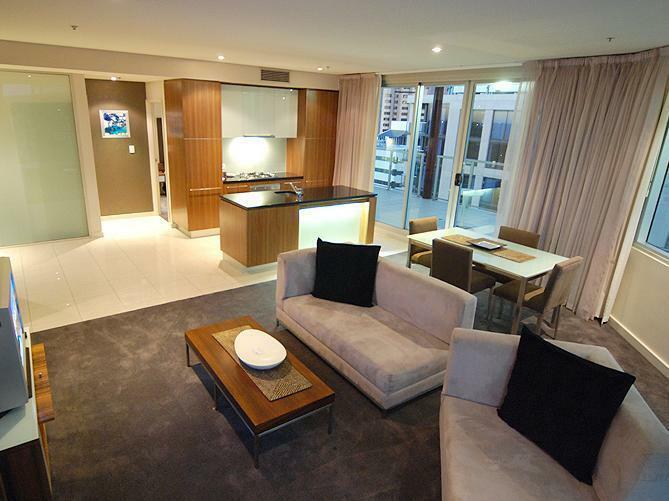 Spacious, comfortable and clean, I was very impressed with the apartment. Great value. I self catered on my 4-night stay, so my only concern was a paucity of kitchen utensils and cookware. Only one kitchen knife, no small saucepan, no stirring spoon. Very good airconditioning. Quiet even though on North Terrace. Only problem was that lifts didn't work when I departed so needed to wait for them to unlock fire doors so I could walk down (apparently, they automatically open when fire alarm is started but otherwise are locked - I suggest they should re-think that one.) Bed a bit hard for my liking. Great location, Easy access and walking distance to everything. The hotel is located above the Oaks on Nth Terrace. It was a little hard to find as there are no signs, but well worth it. Upon arrival they couldn't find our booking but patience paid off as they upgraded us to a 2 bedroom semi-penthouse apartment. The room had a full kitchen and awesome balcony wrapped around it with spectacular views of the city. There was no room service but we are happy not to have everything made up each day and added to our own privacy. There is also no telephone but most people have their own mobiles these days so that wasn’t an issue. We were able to walk to the Casino, Rundle Mall, supermarket, bottle shop, car hire and many restaurants that were nearby. It was also easy to catch the tram down to the beach and get a pickup for a wine tour. Overall the stay was awesome and we would defiantly stay again. 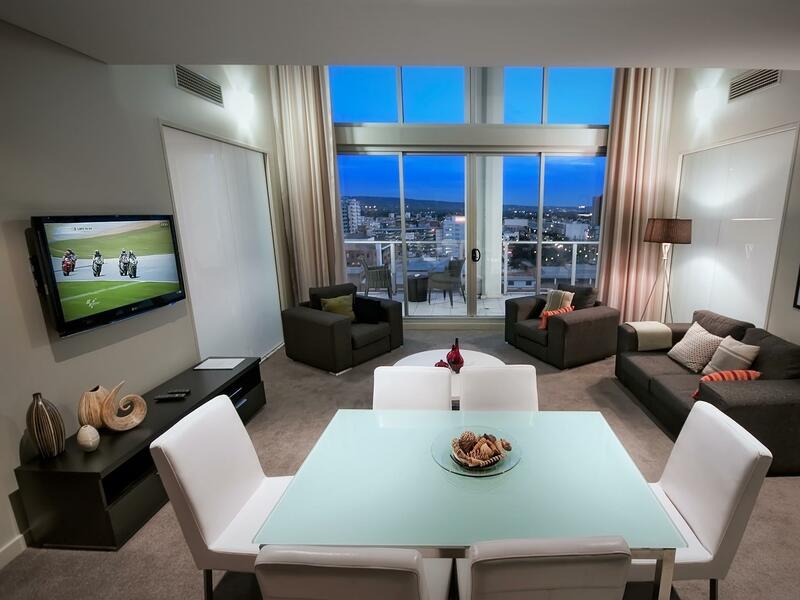 the apartment was in the Oaks Embassy, which is where I normally stay except La Loft gave me a much better price. I would only knock the view but for the money saved it was fine. 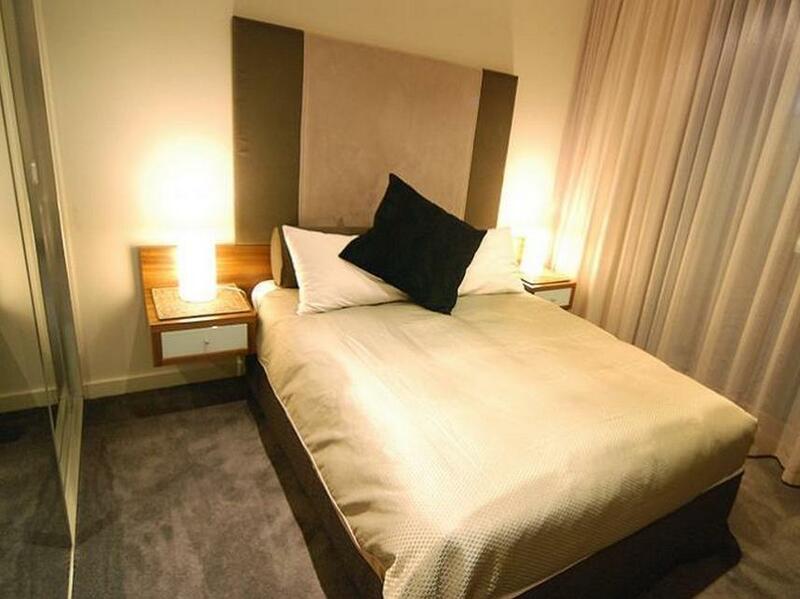 I will contact La Loft again on my next Adelaide visit. 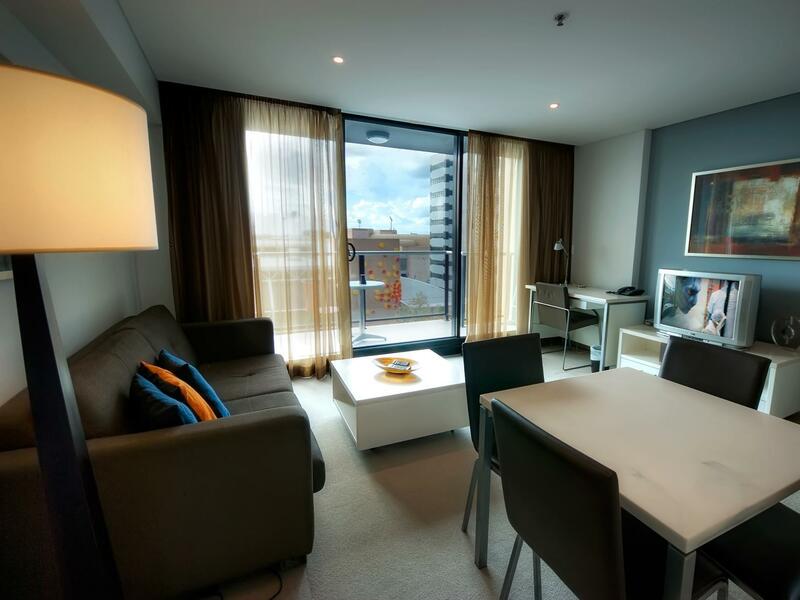 We recently checked in for 4 nights at La Loft apartments North Terrace. 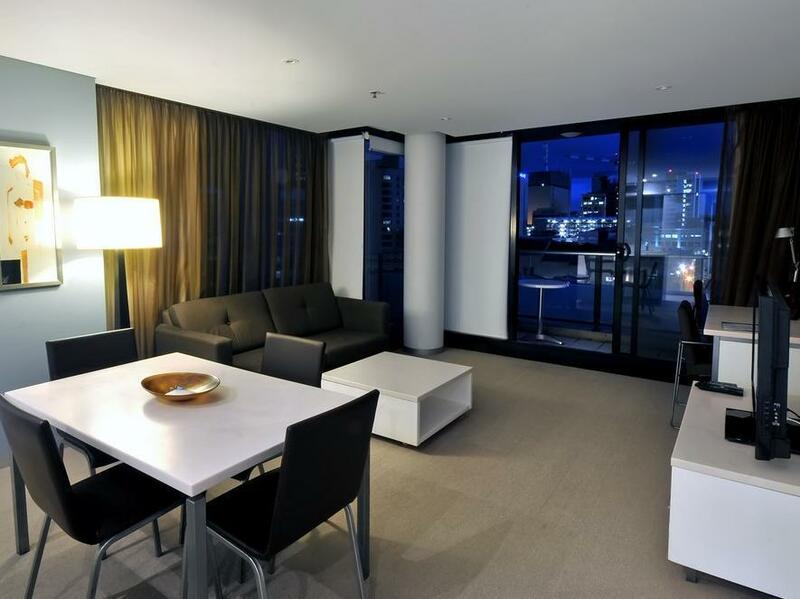 The apartment was very spacious which was great since I was travelling with my family. We had no worries checking in - I just ensured they knew when our flight was arriving and politely asked for someone to promptly meet us (as a full day of travel with a four year old isn’t fun!). They were very prompt and lovely to deal with. The room was pretty clean but maybe a bit more attention to detail required in a couple areas. My only main issue were the beds...they are really really hard (little to no give). So hubby and I didn’t have very good night sleeps while we were there. The location is very good though, close to tram stop (5 mins walk) and there was a coffee club down stairs. Great place to stay when in the city. Close to everything! Great location, spacious 3 bedroom apartment. The noise from Hindley Street did filter up though. Crockery and cutlery were not clean. Ended up putting whole lot through dishwasher. And as usual there was mould in the shower recess but that seems to be par for the course in all motels etc in Australia regardless of the star ranking. Otherwise a well set up and comfortable unit with every thing you need. Good stay in a great hotel. We were a group of 3 guys in Adelaide for the weekend and this apartment was exactly what we were after. Fully equipped kitchen really helped. One issue was that we had booked a spot in the car park and upon returning from McLaren Vale on a Saturday afternoon, there were no available car spots, as someone had taken ours. We had to wait around for someone to leave (which thankfully was only 10 minutes) before we could park our car. Apart from that, fantastic stay and we would highly recommend to anyone! We had four nights at La Loft. All up a pleasant stay with the exception of the last night which was a Friday. The noise from North Terrace was overwhelming despite being on the 15th floor and there were other guests who were incredibly inconsiderate until 4am, making a lot of noise and having arguments in the corridors. 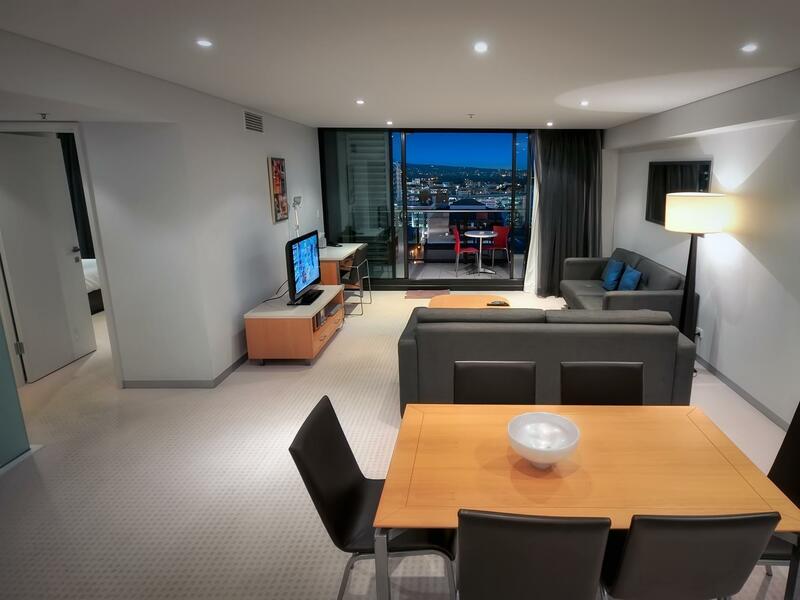 Apart from that, great place to stay, across the road from the Adelaide Convention Centre and near everything. Was really happy with the place. Had read some bad reviews so I was a bit nervous but I felt they provided all the information I needed and called beforehand to confirm so for me everything was smooth. Hotel wasnt "5 star spotless" but it was clean and generally well maintained. I would stay there again. location, good size apartment, easy access. Our stay in the La Loft Apartment was very comfortable. Centrally located made it easy for our adventures. The bathroom although clean needed an upgrade. A few more pieces of cutlery and plates would have helped. Overall we would stay again. The location, cleanliness and the apartment space. Wonderful stay and will recommend to others. The agent Richard was on time for our check and his customer service is excellent. Really enjoyed my stay in La Loft apartment. Thanks to La Loft apartment team. It's so strange that there was no reception counter when we arrived. The apartment is located at Oaks Horizon Hotel, it seems not the same company. The receptionist of Oaks Hotel told me we should phone the staff of La Loft Apartment. At that time one genlteman was waiting, then the staff came and brought us to the room one by one. The staff told us that there was no room service as we stayed 5 Nights only, just asked us to phone him when we got questions, and left the keys when we checked out. There was no free wifi provided and only two rolls of toilet paper . Apart from the above everything was satisfactory. Central location, plenty of room, self catering option. We enjoyed the experience of being in Adelaide, the apartment was comfortable but the living room carpet needed cleaning and the settee in the living room was so soiled we had to cover it with a blanket. The checking in was strange especially as we did not realise that the La Loft Apartments were actually in the building which was named Oaks Horizon. The cafe on the ground floor was very good and we felt that we would go there again as the price was reasonable and everything we needed was provided.